Choosing the perfect running shoe is a minefield. It is a popular sport and there are hundreds of brands competing for your attention and cash. It is always worth getting a gait analysis before choosing a new running shoe as knowing if you ‘overpronate’ or are a neutral runner is vital. Basically, if you overpronate the foot rolls outwards as it strikes the ground which puts pressure on your ankle and knee joints. Common injuries believed to arise from overpronation are iliotibial band syndrome (usually known as ITB), or shin splints. 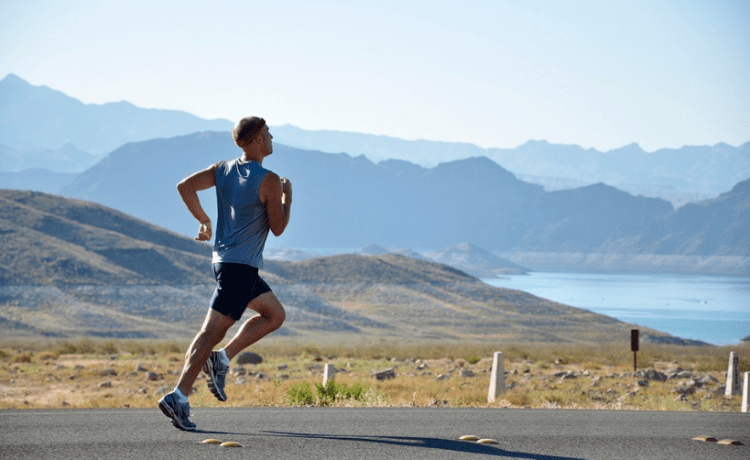 If you consider that if you run a marathon your foot will strike the ground more than 42,000 times, sending a force of 250 per cent of your own body weight through your leg you can see why it is important to get it right. With that in mind here are some of your questions answered and my top picks for five neutral running shoes for men. Which neutral running shoes will make me look superfly? We can’t attest to that exact sensation but we can say that they are light, responsive and comfortable. While not a stability shoe, the heel cup offers some support and the upper features good ventilation to prevent the shoe filling with sweat during England’s epic summer of 2018. In terms of support, the Sonic features a TPU heel counter for additional support and a removable, anti-microbial Ortholite sockliner, which moulds to the foot for customised comfort & cushion. The minimalist colour schemes of plain white or plain black will appeal to many in a market saturated with colourful offerings. Is there a classic neutral running shoe? Classic is a strong word for anything which divides opinion as much as running shoes but the Asics Gel Nimbus has been a firm favourite of dozens within the running community for a long time. The 20 made several key changes to the popular item and, while change is not always welcomed, seem to have got it right. The Nimbus is comfortable and well cushioned which puts it among the heavier of these shoes but it’s a trade-off between weight and comfort. Among the changes to the Nimbus 20 are a new gel, which is designed to provide more cushioning as your feet fatigue, and the fit around the midfoot has been altered, providing a secure fit without the need to anchor your foot with ultra-tight lacing. Can I choose a neutral running shoe for high mileage? 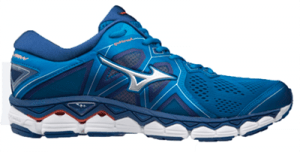 The Mizuno Wave series is another hugely popular range due to all-round appeal and durability which means it will serve you well through high mileage training and makes good option for races of most distances. The Sky 2 offers good cushioning and support with a slim flit but is not the most flexible of shoes should that be high on the list of requirements. The upside to the flexibility issue is that the mid-sole cushioning makes the shoe far more forgiving high mileage runners who want a high level of comfort. 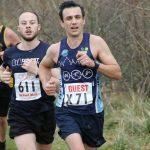 Can I get a ‘bouncy but light’ running shoe? 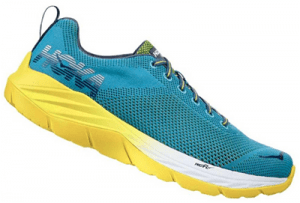 Hoka’s look is an acquired taste as they appear thick-soled and ‘clumpy’ but the Mach is a lightweight offering for the amount of cushioning it delivers. The Profly midsole gives a forgiving landing and the 5mm drop will discourage heel-striking for those who get sloppy when fatigued. 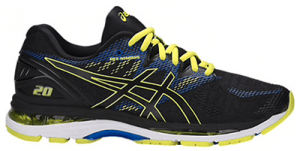 A great shoe for faster runs but also suitable for longer, slower runs if needed. Can I get a neutral running shoe that is superlight? I’ve snuck in a curveball at the end by bringing in a wildcard with Saucony’s most popular road racing shoe. It is super light and, with just a 4mm drop, does not offer huge cushioning. On the flip side though it will discourage hell-striking and thereby encourage good form. Not a shoe for beginners or for runs of more than 6 miles but it feels as though there is nothing on your feet despite the fact the sturdy sole absorbs the worst sharp stone out there. For anyone interested in trying a triathlon, the Flexifilm in the upper creates a seamless feel which makes blisters less likely for those opting to head out of transition without socks.